ELECTRICAL ENGINEERING: PRINCIPLES AND APPLICATIONS, 5/e helps students learn electrical-engineering fundamentals with minimal frustration. Its goals are to present basic concepts in a general setting, to show students how the principles of electrical engineering apply to specific problems in their own fields, and to enhance the overall learning process. Circuit analysis, digital systems, electronics, and electromechanics are covered. A wide variety of pedagogical features stimulate student interest and engender awareness of the material’s relevance to their chosen profession. 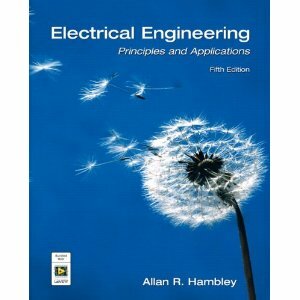 ELECTRICAL ENGINEERING: PRINCIPLES AND APPLICATIONS is designed specifically for non-majors, this user-friendly text provides a solid foundation in the basics of circuits, electronics (analog and digital), and electromechanics and shows students how the principles apply to interesting, specific, real problems in their own fields.